Nitrogen in the soil is the most important element for plant development. It is required in large amounts and must be added to the soil to avoid a deficiency. Nitrogen is a major part of chlorophyll and the green color of plants. It is responsible for lush, vigorous growth and the development of a dense, attractive lawn. Although nitrogen is the most abundant element in our atmosphere, plants can't use it until it is naturally processed in the soil or added as fertilizer. An excess of nitrogen, caused by fertilizer over-application, can result in rapid, lush growth and a diminished root system. In extreme cases, too much quick-release nitrogen can cause burning of the leaf tissue and plant death. A lawn with a nitrogen deficiency will lose its green color and begin to turn yellow. Nitrogen can go through many transformations in the soil. These transformations are often grouped into a system called the nitrogen cycle, which can be presented in varying degrees of complexity. The nitrogen cycle is appropriate for understanding nutrient and fertilizer management. Because microorganisms are responsible for most of these processes, they occur very slowly, if at all, when soil temperatures are below 50° F, but their rates increase rapidly as soils become warmer. Organic or naturally occurring nitrogen is the by-product of microorganisms breaking down organic matter. The process is a slow and extended release with no danger of leaching. Organic fertilizers have a very low burn potential so there is no risk of plant injury from over application. Using organic sources of nitrogen builds a healthy soil rather than only feeding the plant. Synthetic nitrogen is primarily in the form of urea or urea solutions. Alone, urea has quick-release properties but it can be processed and combined with other materials to be slow release. A coating is applied to the urea, allowing for a slow release based on the thickness of the coating, temperature, and soil moisture. 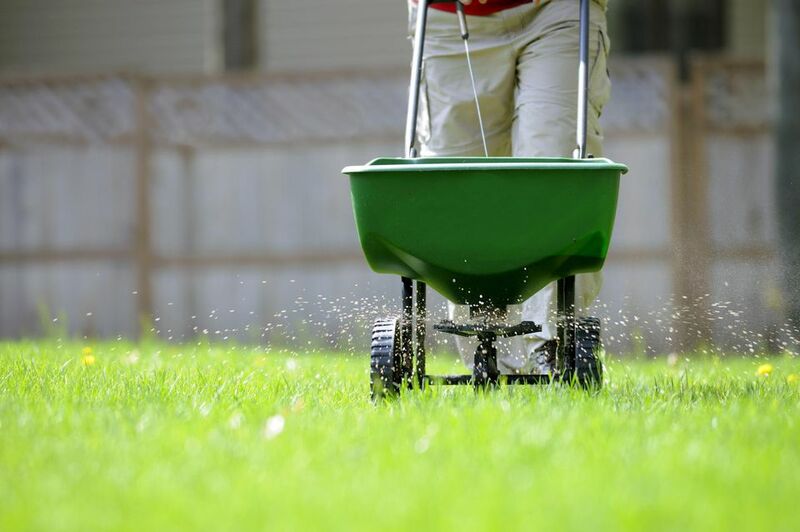 Many fertilizers will contain a blend of nitrogen sources for both quick green up, and an extended, slow release feeding. The ratio or percentage, of each nitrogen source, is located on the label. There is controversy involved with inorganic and synthetic nitrogen usage. Over-application leads to groundwater contamination through runoff and leaching. The considerable consumption of fossil fuels in the manufacturing and processing of synthetic nitrogen fertilizers is also a cause for concern. Depending on your level of environmental stewardship, you may want to stick with organic sources of nitrogen. If you do use synthetic and/or inorganic, do not over apply. Read the label and follow the directions exactly as indicated. Should You Grow a Bradford Pear Tree? Stay off Your Grass on Frosty Mornings! When and How Do You Aerate Your Grass?